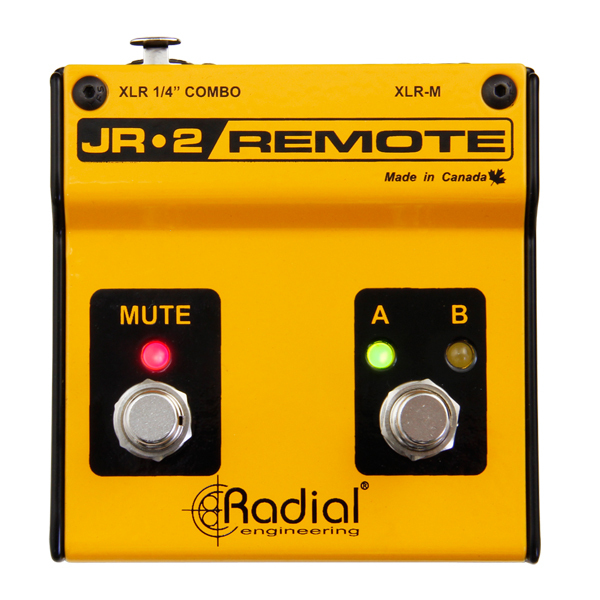 The Radial JR-2™ is an innovative remote control that is equipped with two footswitches – designated as MUTE and AB select. 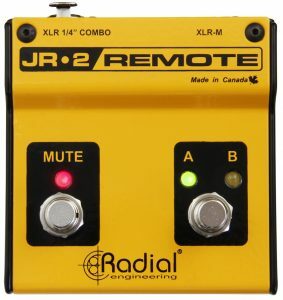 Although designated this way, the actual functionality of the switch depends on the specific Radial product that is connected. 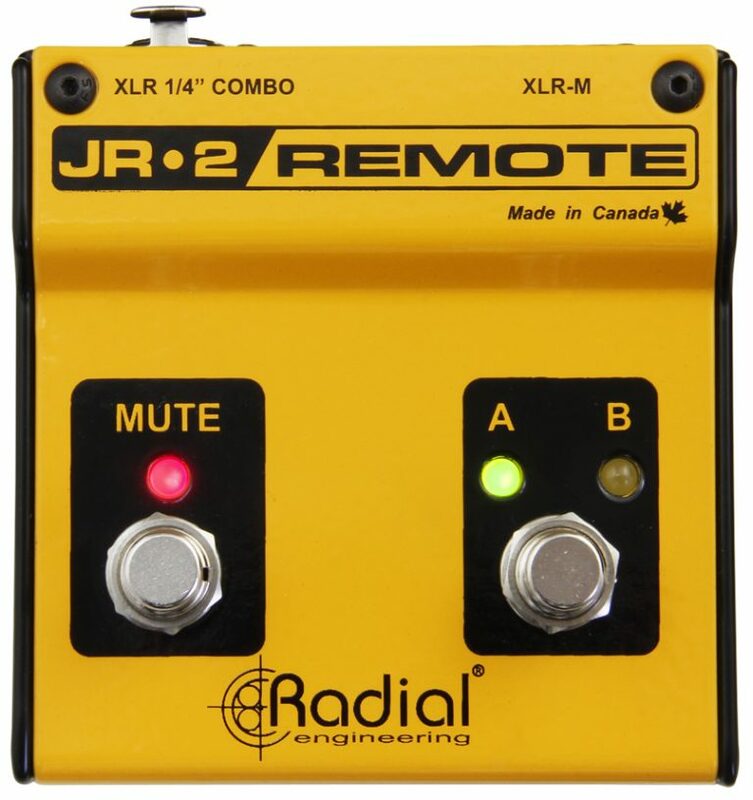 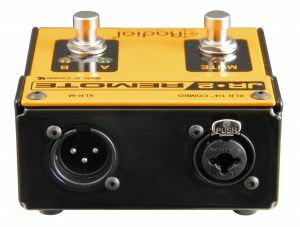 The JR-2 connects to the device using a standard balanced audio cable with choice of ¼” TRS or XLR connections. 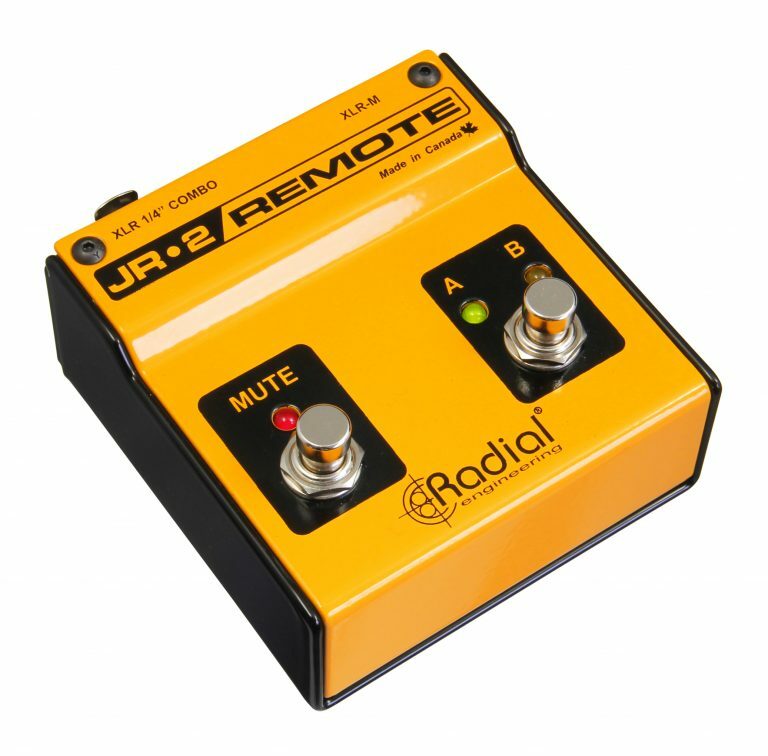 The JR-2 is unique in that it derives its power from the device being controlled which in turn illuminates the on-board LED indicators to show the remote status. 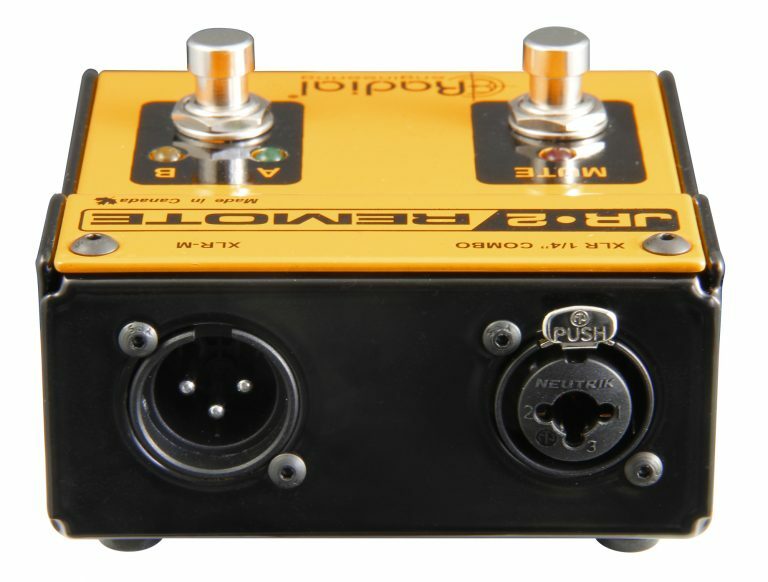 Both switches are latching type.